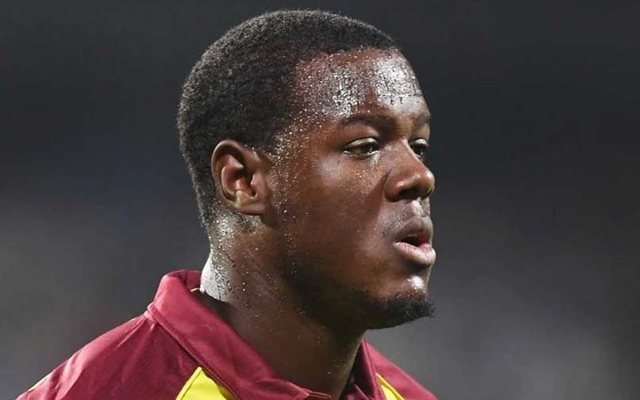 Lahore Qalandars all-rounder Carlos Brathwaite will leave the PSL 2019 with immediate effect. After a successful campaign in the three-match Test series against England that they won 2-1, Windies are now scheduled to play five One Day Internationals. The series gets underway on Wednesday, February 20 at the Kengsinton Oval in Barbados, which will also play host to the second match. Grenada and St Lucia are the other two venues in the 50-overs fixtures. In the meantime, the Caribbean team has been dealt with a few massive blows as three of their players- Rovman Powell, Keemo Paul and Evin Lewis- have been ruled out of the series. Lewis withdrew owing to a groin injury. Earlier Chris Gayle, the hulk-like Jamaican, made a return to the national limited-overs team, but Lewis’ omission can turn out to be costly. Carlos Brathwaite, Sheldon Cottrell and John Campbell have been named as their replacements. Campbell can go on to get his maiden ODI cap after impressing in the Test series against the Three Lions. Cottrell last played ODI cricket in the home series against Bangladesh and was left out thereafter while Brathwaite’s last ODI was in the World Cup qualifiers last year in Zimbabwe. “With our squad suffering from a few players with injuries even before a ball is bowled, an opportunity presents itself for other players to make a claim for ICC Cricket World Cup spots. The [selection] panel take this opportunity to wish the injured players a speedy recovery and to wish the team success in the upcoming ODIs,” Courtney Browne, the chairman of selectors, was quoted as saying in Sportstar. Prior to ODIs, there will be a warmup match between UWI Vice Chancellors XI and England at the Three Ws Oval in Barbados on Sunday, February 17. CPL 2018: Match 13, Match Prediction- Who will win the match, St Lucia Stars or St Kitts and Nevis Patriots?